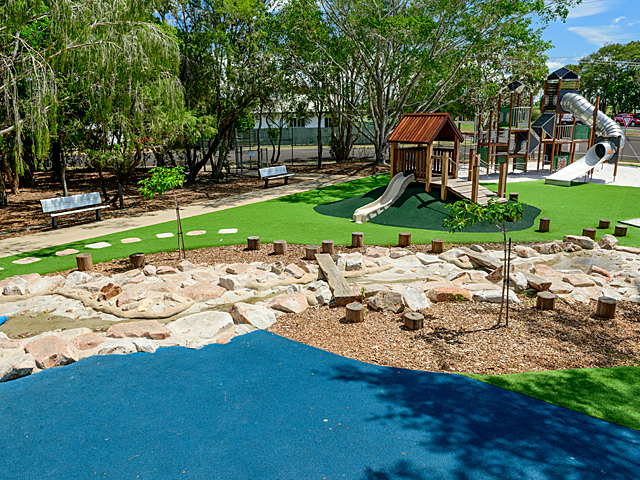 After four years and over two and a half million visitors, Rosehill TPV is continuing to provide a safe, vibrant play surface at one of Australia's largest and busiest urban parks. 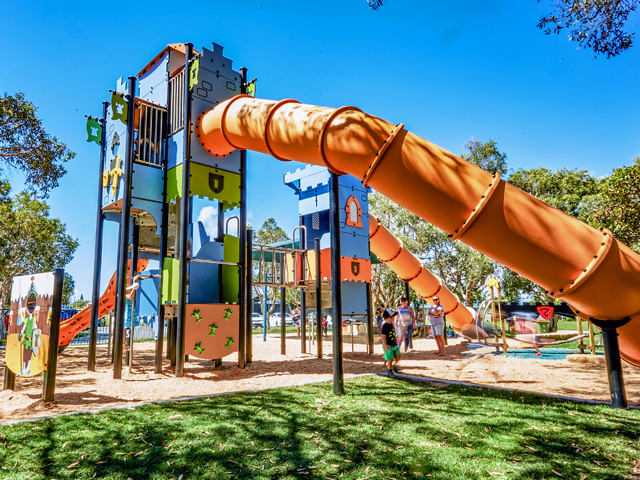 Surface Designs, wholesalers of rubber surfacing for indoor or outdoor sports and play surfaces, was the exclusive supplier of Rosehill TPV for the Blaxland Riverside Park project in 2011. 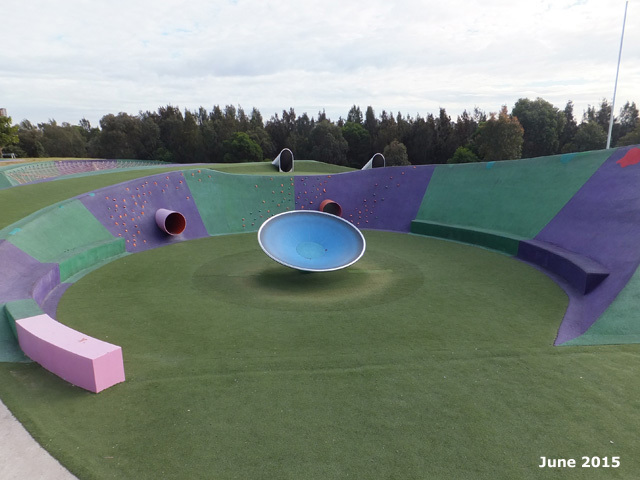 Located on the shores of Parramatta River, spread over 3 hectares, the play space provides a colourful combination of play elements that includes high and steep landforms, water and sand, moving elements, nets, slides, tunnels and hidden spaces. 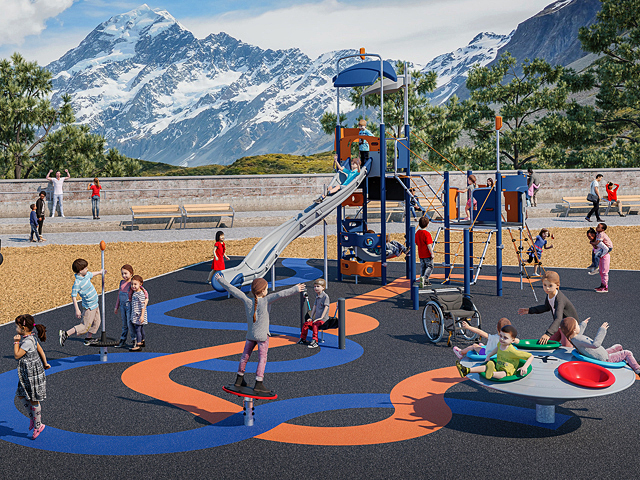 The park is a credit to great landscape design, where visitors can enjoy the fantastic, imaginative designs in a magnificent location. 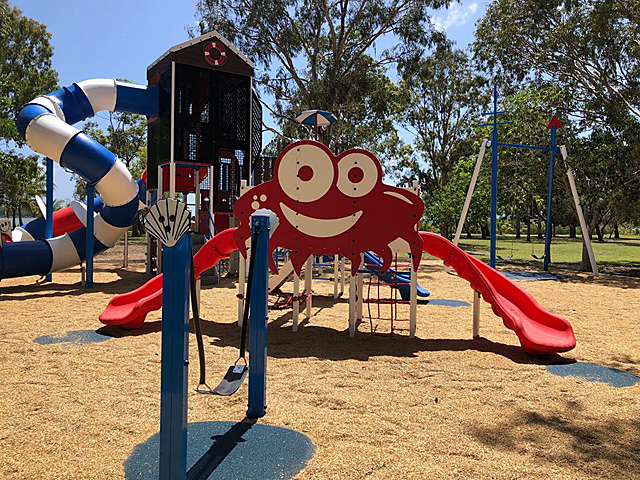 It enables children to have an exciting and imaginative play experience, while also encouraging adults to come and enjoy the park in families and groups. 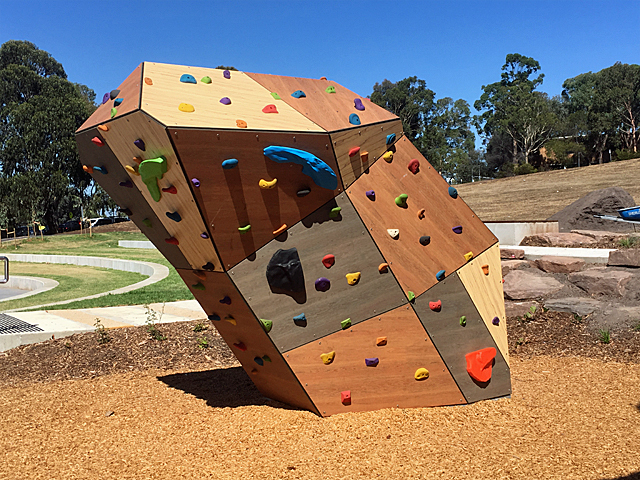 Over 1500m² of Rosehill TPV was installed at Blaxland Riverside Park and the surfaces continue to perform today, both in resistance to fading and the tactile integrity of the surface. TPV is unique in rubber wetpour in that the individual granules aren’t porous, so they don’t absorb the polyurethane binder used in the wetpour process. This means that rather than hardening over time, the surface stays soft and continues to perform as intended. 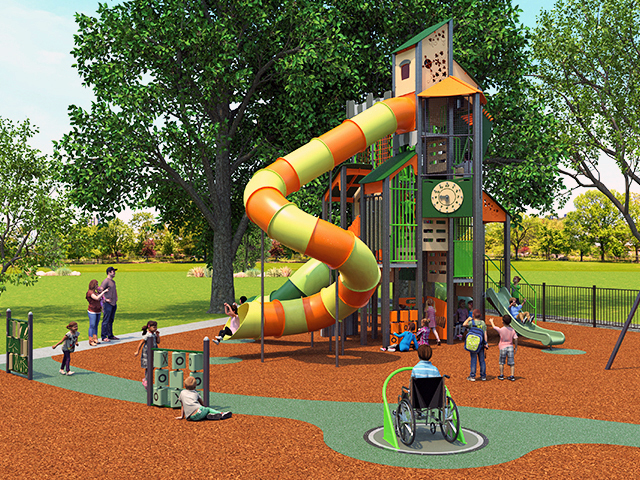 Along with a programmed, regular maintenance program, the surface will provide years of use. 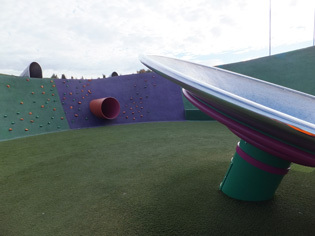 Rosehill TPV is produced by Rosehill Polymers, a UK based company, in their state of the art facility and supplied exclusively by Surface Designs. Rosehill Polymers developed TPV in collaboration with Dupont-Dow. 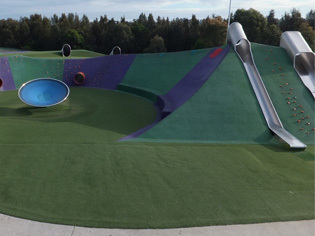 It is a mix of high quality virgin polymer, antioxidants and UV stabilisers that make it the premium product in the rubber wetpour industry. TPV has been used globally for several years across such projects as the London Olympic Stadium Circle Bridge, Disney, Sea World & Universal Studios. Contains no heavy metals and does not leach out carbon or colour pigments. Has good Luminance contrast testing results. 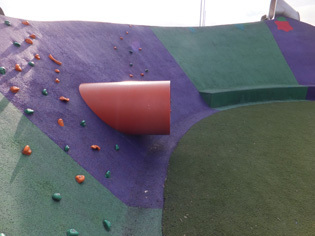 With over 20 colours to choose from, Rosehill TPV is the perfect rubber granule for anyone who designs indoor or outdoor sports and play surfaces. From architects to installers, Rosehill TPV will more than meet the requirements of any specifier with outstanding durability and cost effectiveness.